EDITOR’S WARNING: It is important to read the article below. The meme at the top is being debunked as nonsense, not supported. Originally published on Daily Kos. Somewhere, someone is wrong on the internet. Yes, that’s shocking. And normally I’d feel just about as compelled to correct that someone as I would to put my hand in the corned beef slicer at the deli. But dammit, sometimes someone is just so wrong on the internet, that you must get out the mustard. Lately (or more specifically, perpetually off and on for the last few years), this set of images has been circulating. Why golly, that does look bad, doesn’t it? Know what? Someone is a f#@%ing liar. That top image is, in fact, a mine. It’s a copper mine. This particular mine is BHP’s Escondida Mine, one of the 10 largest in the world. Before this continues, to repeat … that’s a copper mine. In 2015, we used about 19 million tons of copper. Getting that copper out took digging big holes in the ground, just like the one in that first picture. It also involved using millions of pounds of blasting agent, carrying rock to crushers, spraying that crushed rock with millions of gallons of sulfuric acid, then letting the resulting toxic sludge sit around in leach fields to extract the copper. How many times has someone approached you and warned you that copper is a bad thing and that you shouldn’t use it? I’m willing to bet that number is zero. On the other hand, the world produces about 650,000 tons of lithium each year. Lithium exists mostly in the form of concentrated salts. Almost all that lithium—greater than 95 percent of it—is produced through a process of pumping underground brine to the surface and allowing it to evaporate in big pans. It’s separated from the brine using electrolysis. There’s nothing you would think of as mining. No blasting. No trucks driving around carrying loads of crushed rock. No sprays of sulfuric acid. Not all of the Salar de Atacama (the big Atacama salt flat) is this dead. There are some pools there with very salt-resistant shrimp, and weirdly enough, flamingos come to this desolate, otherwise empty place. So you know what they did? They made the area where the flamingos go a national reserve. It’s both desolate and lovely. They don’t extract lithium there. Now, it’s a safe bet that someone, sometime has told you that lithium mining is awful. That it requires big holes like that one that was used to make the copper pipes, and copper wires, and copper electronics you use every day. Someone told you that, even though it’s not true. Why did they tell you that? 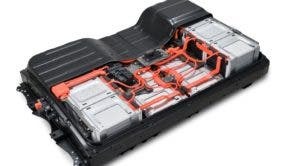 Because someone knew just enough to know that lithium is used in electric car batteries, and that someone was enough of a dickweed to want to make electric cars look bad. Even though they knew they were lying. Atacama salt flats. Those blue rectangles are basins where lithium is extracted from brine. Now, about those oil sands. “Oil sands” is one term for them. The phrase you hear more often is actually “tar sands.” Why? Because what’s in those sands isn’t nice, fluid oil. It’s sticky, thick, blocky, and solid. If you cut a chunk of it, oil doesn’t pour out. It’s just stinky black sand. And getting oil out of the tar sands? That’s not done with a neat little well. There are two primary ways of extracting oil from tar sands. One is to force steam into the sands through a series of horizontal wells. Then another series of wells is drilled to extract the oil freed by the steam. And all it takes is about 1,500 cubic feet of natural gas to make the steam that drives out a single barrel of oil. Gosh, you know what that looks like? Mining. That’s what. There’s the blasting, the trucks, the crushing, and then a mixture of hot water and caustic lye (sodium hydroxide) is added. It’s all mixed up into a black, sandy paste, then the paste is piped over to a plant where it gets churned until the oil floats to the top. Then the oil gets sent down some fine pipeline (Keystone, anyone?) while the remaining muck is dumped. It takes about two tons of sand to make a single barrel of oil. So … yeah. That’s the truth. That’s what lithium “mining” is like. That’s what oil sands “extraction” is like. That’s how stupid this meme is. Now, it’s the internet, people. Play nice.